What Continent Is Luxembourg In? Luxembourg is located in the western region of the continent of Europe. 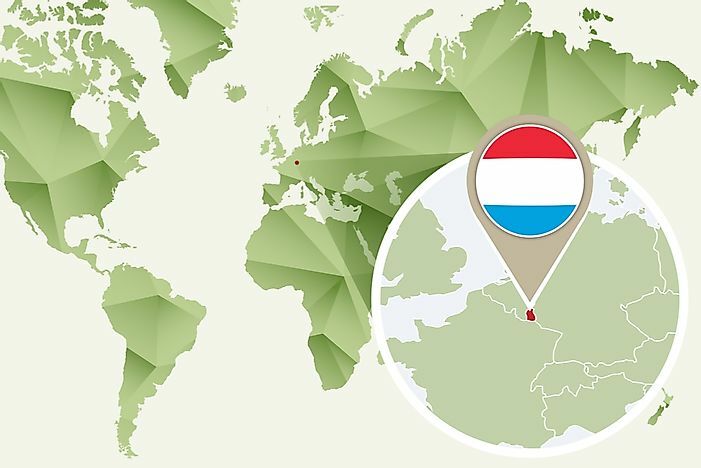 Luxembourg is landlocked by Belgium, Germany, and France. Luxembourg is a landlocked country found in Western Europe. It is bordered to the north and west by Belgium, to the east by Germany , and to the south by Franc. Luxembourg City is the capital of Luxembourg. Luxembourg covers an area of 998 square miles making it one of the smallest sovereign states across the continent of Europe. Luxembourg is the least populous country in Europe with a population of approximately 576249. However, it is the country with the largest population growth in the whole of Europe. Europe is a continent that covers an area that is approximately 3,930,000 square miles. Water bodies surround Europe from three sides. The Arctic Ocean covers the northern part, and the Mediterranean Sea is on the southern part while the Atlantic Ocean is on the west. The highest point in Western Europe is the Mont Blanc which is in the Alps. Mont Blanc has an altitude of 15,771 feet. Other great geographical landmarks across Europe are the Carpathians and Pyrenees mountain ranges. Europe has quite a good number of resorts and sandy beaches along its coastline. The Volga is the longest river in Europe, and it covers a distance of 3530 kilometers. River Volga drains its water into the Caspian Sea. A brief history of Luxembourg shows that it first popped up in 1815 during the congress of Vienna. William I of the Netherlands became the Grand Duchy and had a mighty fortress. Prussian garrison was the one in charge of security regarding guarding the city against any external attacks, especially from France. During the Second World War, invasions by Germany resulted in the culture of Luxembourg being a mixture of both the French and German culture. The foundation of the European Union was because of this invasion among other reasons. Luxembourg is a founding member of the European Union and even hosts the European Court of Justice which is the highest authority of the judiciary in the EU. Luxembourg practices democracy through a constitutional monarchy. Grand Duke Henri heads the monarch. Luxembourg is the only grand duchy that is remaining in the world. Economists consider Luxembourg as one of the countries with the highest GDP per capita in the world. UNESCO declared Luxembourg City as a World Heritage site in 1994. The declaration was made since the city has large fortifications and very exceptional preservation. The steel industry has promoted industrialization in Luxembourg. The red lands in the city are very rich in iron-ore.
On international matters, Luxembourg is a member of international organizations. These organizations include NATO, United Nations, OECD, Benelux and the European Union. These organizations have been able to improve its status in Europe with regards to politics, military integration, and economics. Several agencies of the European Union and institutions are found in Luxembourg City which is the largest city in Luxembourg. For instance, Luxembourg was part of the United Nations Security Council in the year 2013 and 2014. What Do The Colors And Symbols Of The Flag Of Luxembourg Mean?